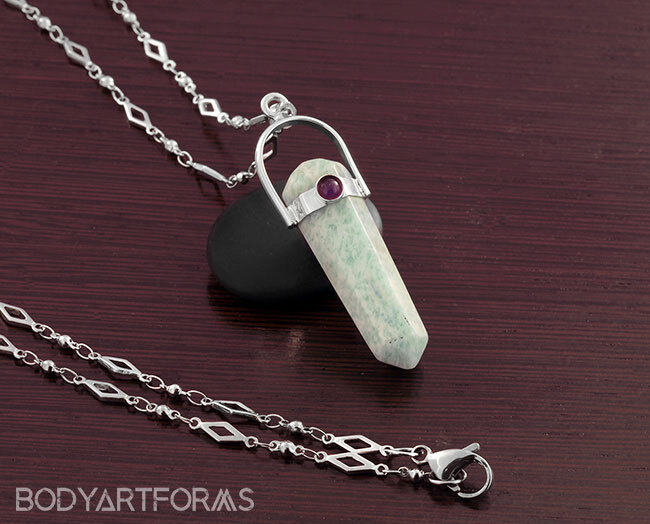 This beautiful pendant necklace features a pale green pieces of faceted amazonite stone, set in sterling silver and accented with a small amethyst cabochon. The entire pendant hangs 2-3/8" from chain. The pendant cannot be removed from the necklace chain.